I’ve made it pretty obvious that I’m a huge fan of Lucille Furs before. I mean, seriously. The Chicago psych-rock quintet is equally unique and unapologetically influenced by groups like the Kinks, the West Coast Pop Art Experimental Band, the Zombies, Charles Bradley, and Chicago’s own Post Animal. 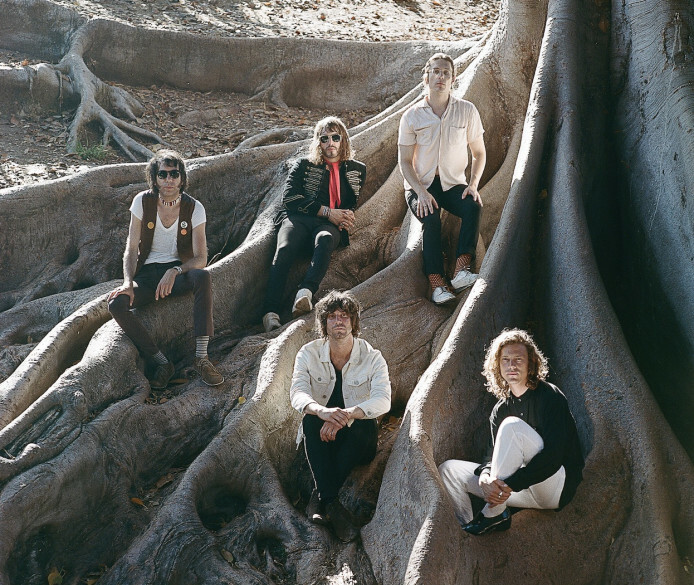 Made up of lead singer Trevor Newton Pritchett, guitarist Nick Dehmlow, bassist Patrick Tsotsos, drummer Brendan Peleo-Lazar, and mellotron/organ player Constantine Hastalis, Lucille Furs is the kind of band I always dreamed I would discover through music journalism. Lucky for me, they’re back with “All Flowers Before Her.” It sounds like some forgotten Beatles track; I can almost see John and Paul, circa Sergant Pepper’s, sporting neon-colored tunics and facial hair. The good news (and I can’t believe I’m saying it) is that this isn’t the Beatles. This is Lucille Furs, primed and ready with the brand new record, Another Land, set to release on March 15th. Feeling bored with the 21st century and your dull day-to-day? Stream “All Flowers Before Her” and take a little trip with me.